Format: Business Cards, Compliment Slips, Letterhead, Company Profile Presentation Folder, Stickers and Signage. 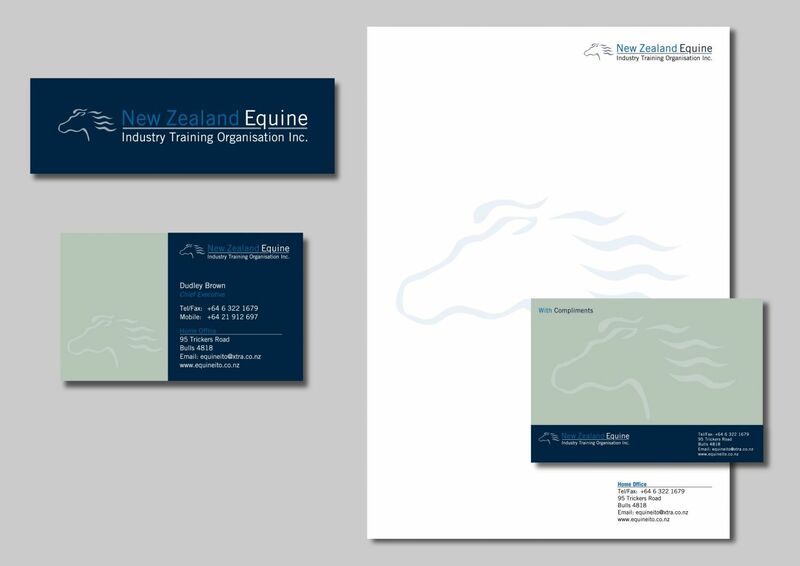 Solution: I illustrated the horse head image and designed the logo and brand ‘look and feel’ which was consistently applied to the business stationery. 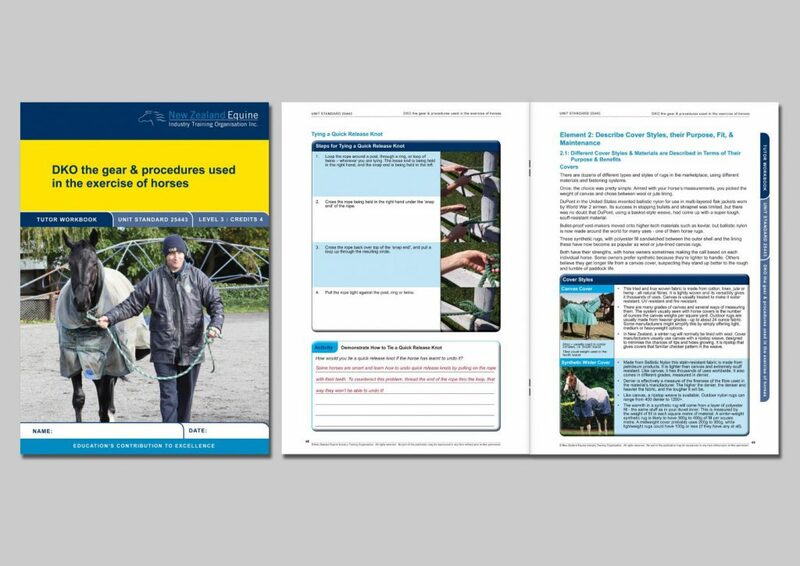 Format: Full colour, A5 saddle-stitched booklet. 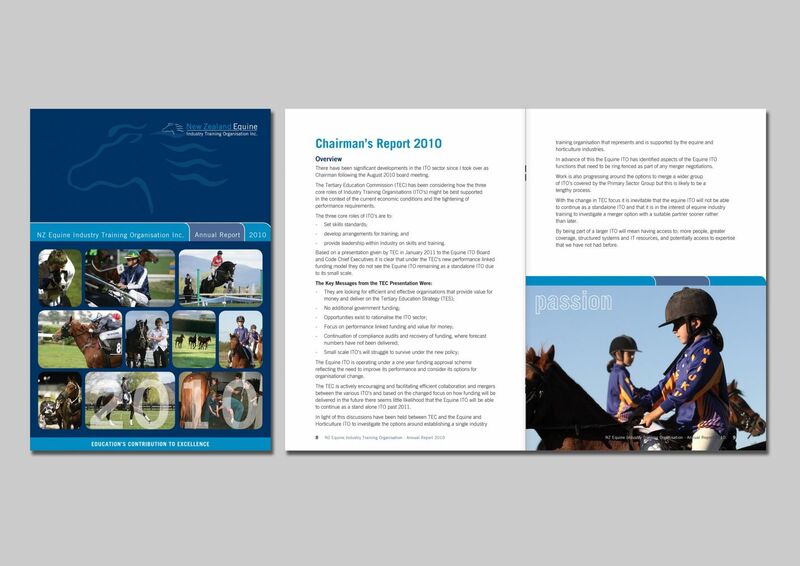 Solution: I designed the annual report for NZEqITO with the same consistent ‘look and feel’ using the same corporate colours, fonts and images as the company brand. 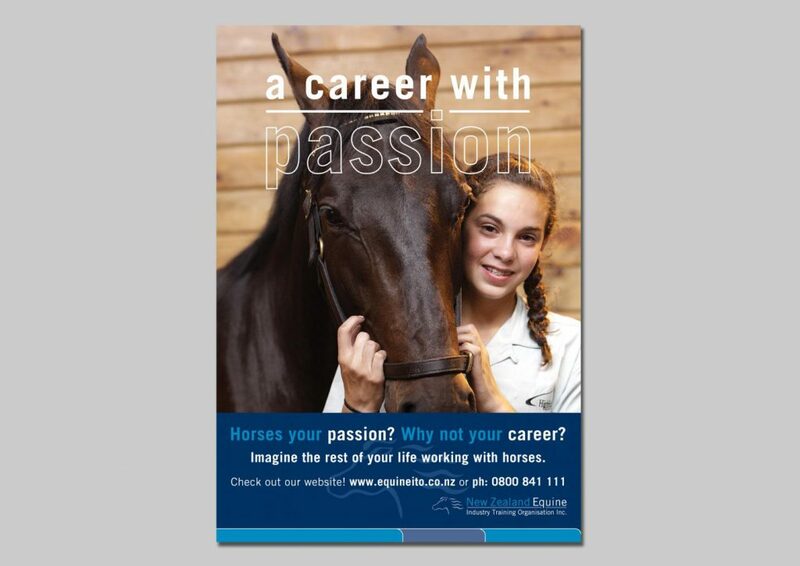 Project: Horse of the Year Poster. Format: Full colour, A0 Poster. Solution: I designed the Horse of the Year poster with the same consistent colours, fonts and images as the company brand. 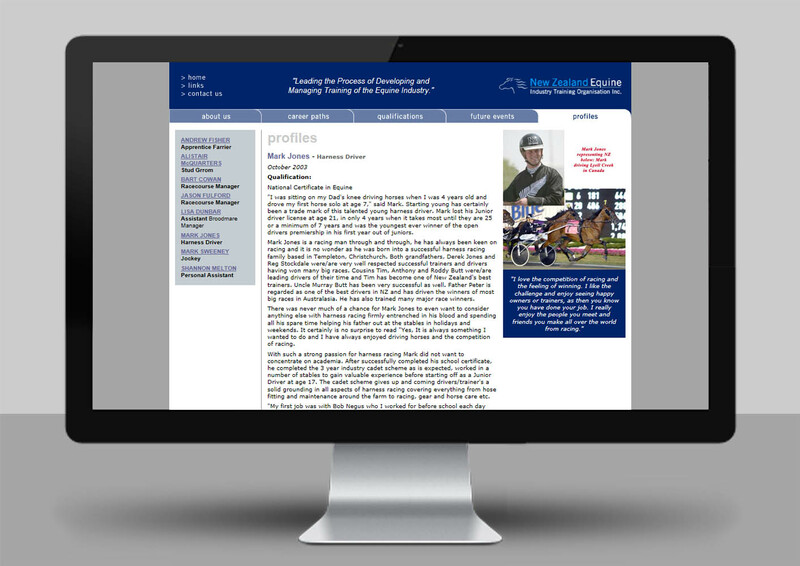 Project: Horse of the Year Postcard. Format: Full colour, DL Postcard. 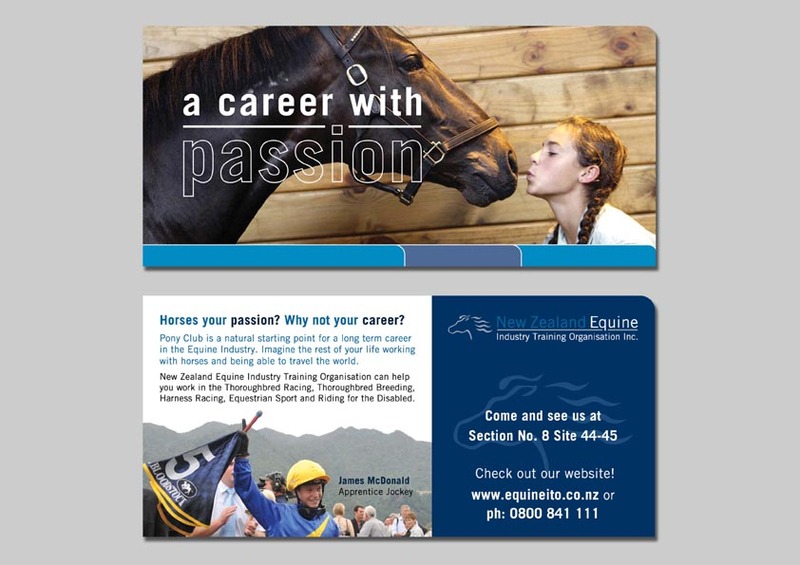 Solution: I designed the Horse of the Year Postcard with the same consistent colours, fonts and images as the company brand. 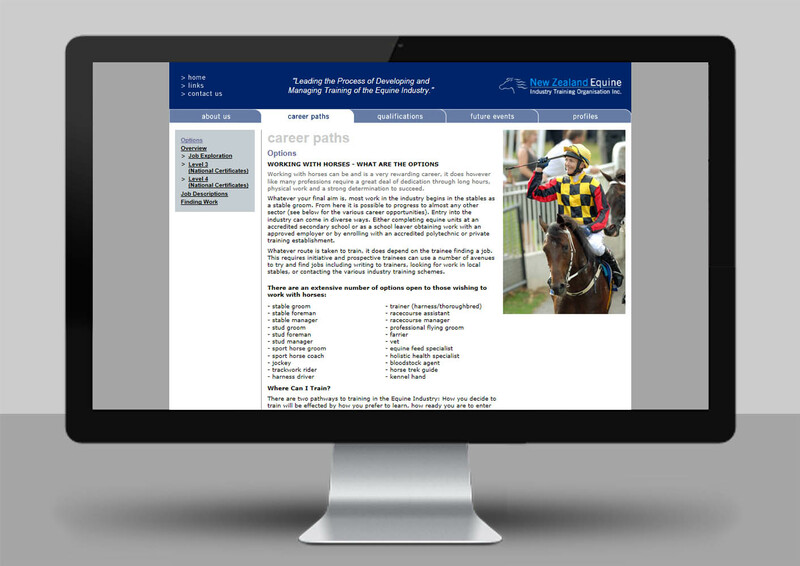 Format: Full colour, A4 saddle-stitched Student & Tutor Workbooks and Tutor Guide booklets. Solution: I was part of the resource management team that developed the educational resources for a large educational resource development contract. 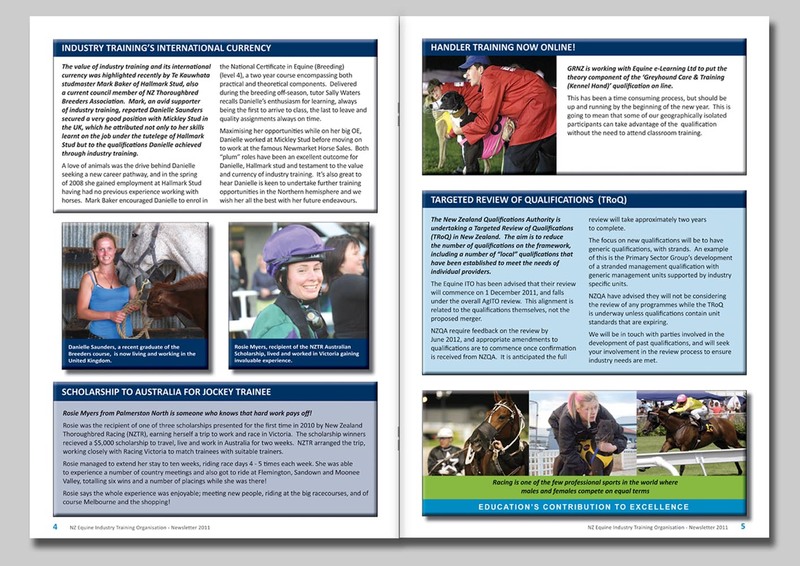 I designed the initial visual template, and I was responsible for laying out the student and tutor workbooks and tutor guides for each unit standard. I designed the way the resource materials looked and felt. 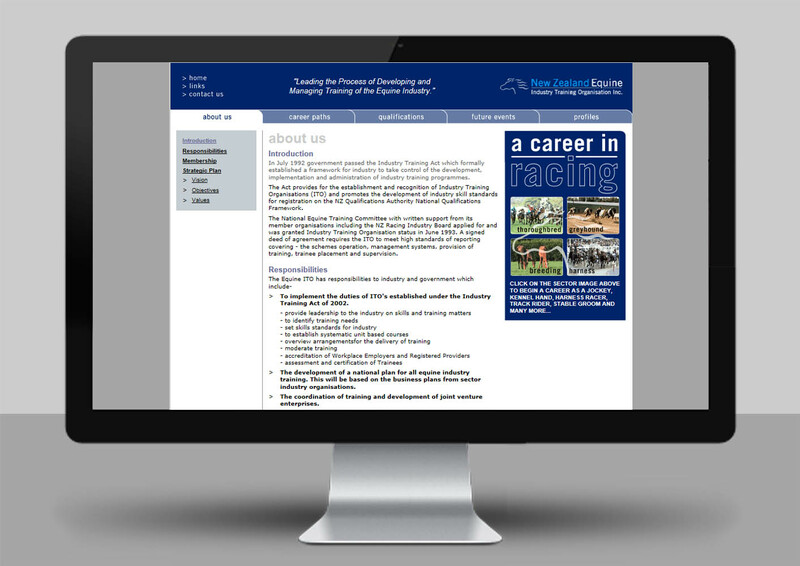 The end resulted in professional workbooks that not only communicated clearly but were user-friendly and visually enticing. 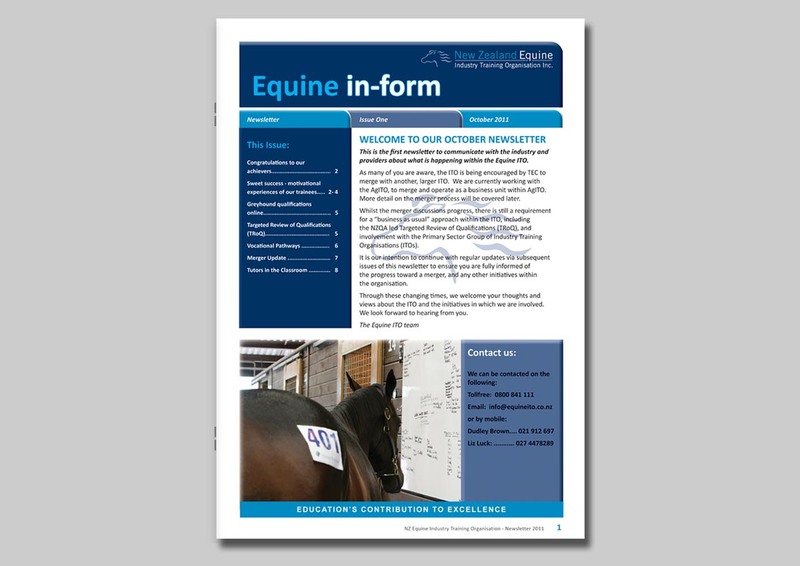 Format: Full colour, A4 saddle-stitched. 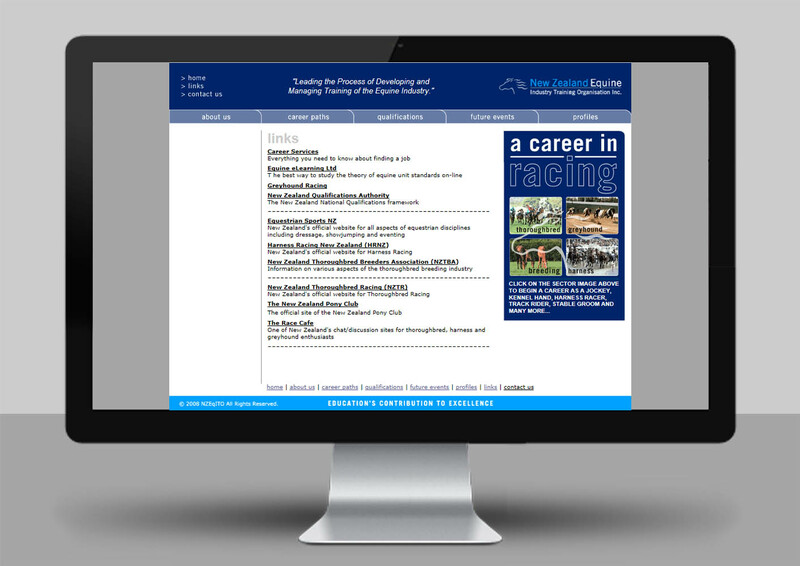 Solution: A 12-page newsletter the ‘look and feel’was laid out in the corporate guide specifications. The same colours fonts and shapes a 3D effect was given to the images boarders. Solution: I designed and built the 20-page website. 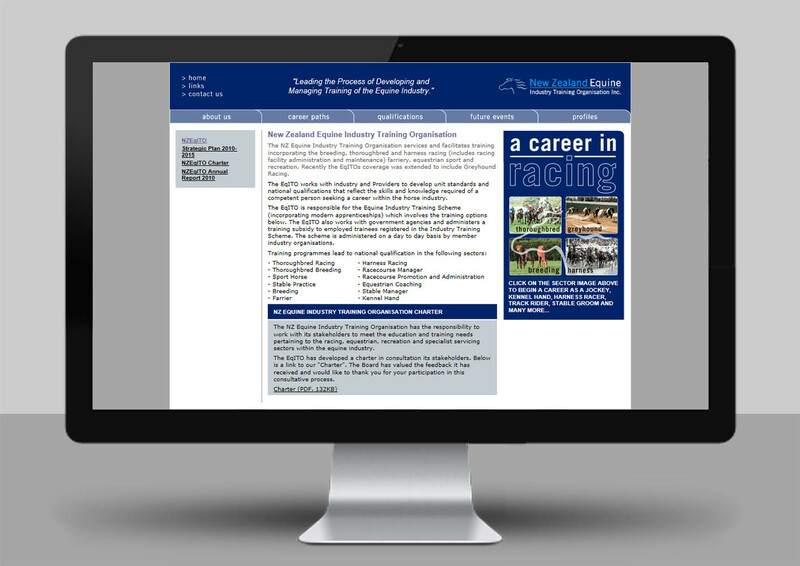 The website contained a variety of information including general information about the organisation, career paths for working with horses, job descriptions, qualifications, future events and profiles this contained eight profiles of young people in different careers in the racing industry. The look and feel followed the corporate brand using the same colours and fonts.